Here in the States, it's easy to fall into the trap of thinking of e-discovery purely in a domestic sense. Last spring, that changed for a while as the European Union's General Data Protection Regulation (GDPR) went into effect, but it's probably safe to say that much of the time, US-based e-discovery experts' horizon stretches from the tip of Manhattan to Los Angeles. Of course that's not true, and E-Discovery Day is a great reminder of the international scale of the e-discovery industry. This year, we're lucky to have international participation from Will Wilkinson of E-Discovery Day Supporter Yerra Solutions. 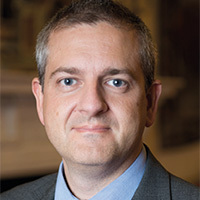 He'll be speaking on a webcast that focuses on one of the sexier topics in e-discovery--smoking gun documents. Will and Ralph Losey will be participating in an "Ask the Experts" webinar titled, "Find the Smoking Gun Fast," starting at 6:15 pm EDT / 3:15 pm PDT on December 4th, so be sure to register today! I had the opportunity to catch up with Will over email to ask him a few question about his background in e-discovery, E-Discovery Day, and the notion of smoking gun ESI. Here are some highlights from that conversation, lightly edited for clarity (and/or Americanization of grammatical conventions!). Q. What was your background before you got started in e-discovery? I was (and still am) an IT hardware geek. I started in the mid-1990’s working in data recovery which led to helping Police (“contended data recovery”) and then training & assisting nascent high-tech crime units in the UK on digital data recovery techniques. Q. How did you get your start in e-discovery? I got sucked in to it by accident! I was working in digital forensics and enterprise data recovery before e-discovery became a “thing” in its own right. By that time, I was leading digital collections at one of the Big-4 and got to start collecting and processing data for clients’ lawyers to look at, rather than just prosecuting authorities and regulators. Q. Did you have any mentors or colleagues that influenced your path in e-discovery? Again – before e-discovery became a “thing,” Susan Solomon (wife of Dr Solomon of Magic Bullet Anti-virus fame) read my carefully crafted IT-focused CV and immediately pegged me for consulting, due to my (not stated in the CV!) previous business-to-business background. Without her sharp people-reading skills 22+ years ago, I would probably have ended up continuing to work in hardware & engineering. Q. What do you most enjoy about your current work with Yerra? To this day, I enjoy interpersonal interactions with clients. I enjoy helping them make informed decisions after having cut through the sales-blarney that many end-users are sold. It's always rewarding to be asked to sit in on a client-vendor call as the client's skeptical sidekick. Q. What are your thoughts on our "holiday" of E-Discovery Day? I enjoy talking about what I do and helping people perhaps think differently about what e-discovery is, where it came from and where it may go. If it becomes an International Holiday Day, I’ll be really happy! 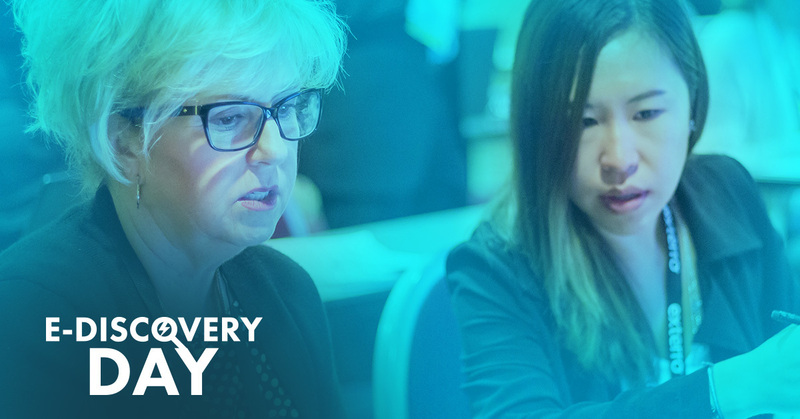 I would hope that “E-Discovery Day” becomes a non-vendor-specific event whereby global buyers can start to see wider trends and patterns across the industry, not just the messages they are sold by different service providers. Editorial note: Although many E-Discovery Day supporters are vendors, it is important to say that both webcasts and live events are not vendor pitches. E-Discovery Day events are all educational in nature and not product demos or sales/services pitches. Q. Are "smoking gun" documents a thing of fiction, or do they exist? Yes! I’ve personally found a handful of key “eureka” documents that have led to a complete change in a “witness's” story. But – it’s a handful in 20+ years… The biggest misunderstanding is about “what is a smoking gun?” I think the less cynical folks are often looking for a single “I did it” document, but in reality, the smoking gun is usually the wedge that cracks the story/investigation wide open. This means that in reality, a smoking gun will vary depending on the pillars that a case is based on. Q. What strategies (technologies or workflows) do you recommend to find case-turning ESI? First and foremost, get involved in the strategy discussion as early as possible. Too many times have the e-discovery folks been brought to the table after the plans have already been made by (in some cases) less-IT-savvy individuals, which can lead to starting with one hand up your back. Then, pick a technology (or more than one) that will deliver well against the strategy. It’s perhaps my own sad experience that not all tools operate equally and there is a lot of misinformation (over-selling) of where tools are strong and what they can accomplish effectively. Once you know what issues you’re facing, what resources are available to you and where your collective team is heading – then you can start looking for your case-turning ESI. I'd like to close this blog by thanking Will for taking the time to answer these questions and more importantly for participating in E-Discovery Day 2018! Please sign up for his Ask the Experts webinar titled, "Find the Smoking Gun Fast," starting at 6:15 pm EDT / 3:15 pm PDT on December 4th today. And if that time doesn't fit in your schedule, stop by the E-Discovery Day website and find a live event or webinar that does. Tim has written professionally for 15 years, the last 10 as a B2B marketing writer. He can be reached at tim.rollins@exterro.com.